As CEO of North America, Andrew spends his time building new model agency set-ups for clients such as The Wall Street Journal, Toyota, and TELUS (Canada’s second largest telco). He is intensely focused on creating the agency of the future—bringing media, digital, social, and brand disciplines all together in one team with one bottom line. Prior to joining The&Partnership, Andrew was Chairman of BBDO’s Proximity North America, one of the world’s largest and most awarded agency networks. 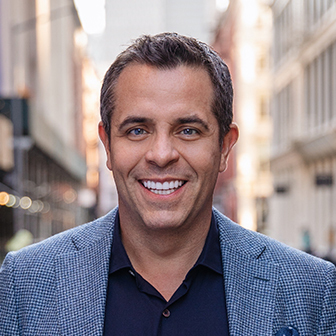 Andrew has spent his career helping some of the world’s most recognized brands such as Campbell’s, Hewlett Packard, Visa, Procter & Gamble, General Electric, Dow Jones, and Mars navigate the intersection of brand and digital, while building lasting relationships with their customers.